Now that we’re closing in on the end of 2017, we can’t help but look forward to what we can see next year. This year started with bang, with a number of successful titles coming out one after the other. Thanks to the E3, we also know that there are a lot of big titles in the works, with some of them expected to release in 2018. 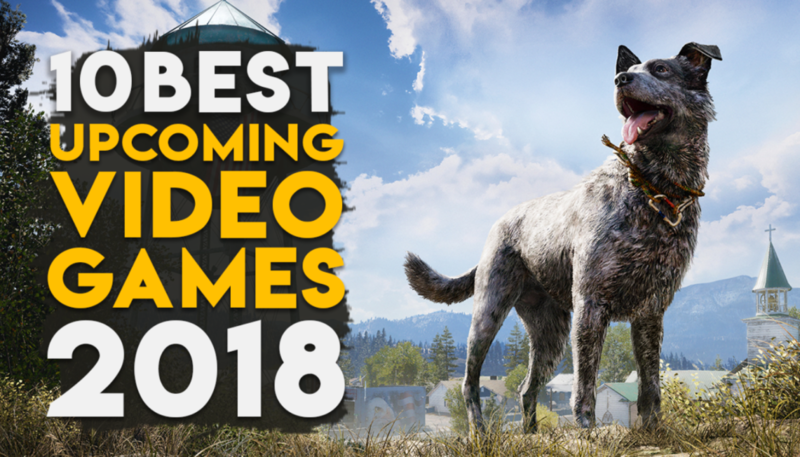 Here’s our picks from the top 10 titles that we can see in 2018, in no particular order. Anthem is an upcoming online multiplayer action role-playing video game being developed by BioWare and published by Electronic Arts. It is slated for a 2018 release on Microsoft Windows, PlayStation 4 and Xbox One. Players will assume the role of a Freelancer, one of a group of bold and courageous people who leave their civilization to explore a lush and dangerous landscape. As a hunter, you’ll take on quests to hunt monsters in a variety of habitats. Take down these monsters and receive materials that you can use to create stronger weapons and armor in order to hunt even more dangerous monsters. Feel free to share your favourite upcoming games in the comments. Where is Darksiders 3 !